Catch all the action in Goa while you enjoy a comfortable stay at the centrally located OYO 19114 Home Dazzling Studio Mapusa. For any kind of assistance you need in relation to your stay, our skilled and friendly staff is just a call away. From regular to exceptional, you will find all the amenities such as 24/7 Checkin, Attached Bathroom, Private Living Room in your room ensuring you have a pleasant stay. Explore the citys trail visiting its top attractions like St. Cajetan Church, Casino Palms and Church Of St Alex Goa. After a day full of sightseeing, relax in the restful ambience of OYO. Do not fret if you run out of cash. Theres Canara Bank ATM, HDFC Bank ATM and HDFC Bank Branch / ATM located at a short distance. 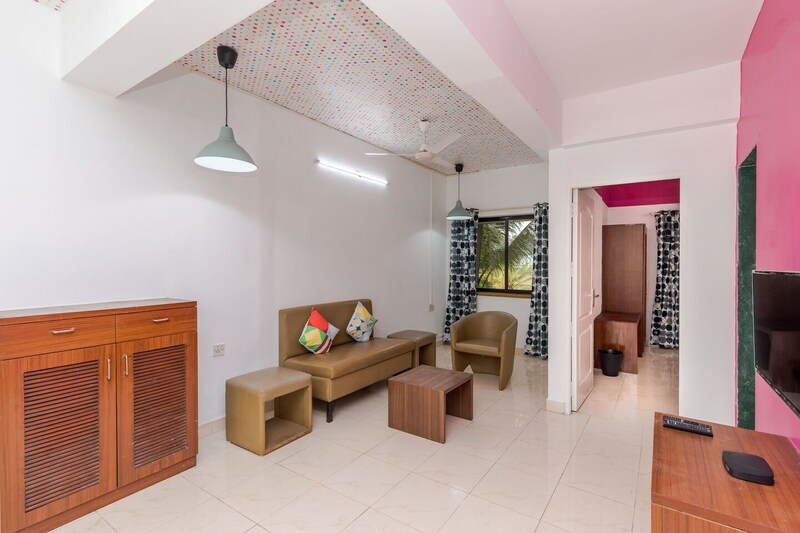 Make memories in Goa, while you enjoy a welcoming stay at OYO 19114 Home Dazzling Studio Mapusa.